Shown constructed in solid American Oak, our Elisee Shaker Swivel Pub Stool is a handcrafted take on the traditional ladder back dining chair design. 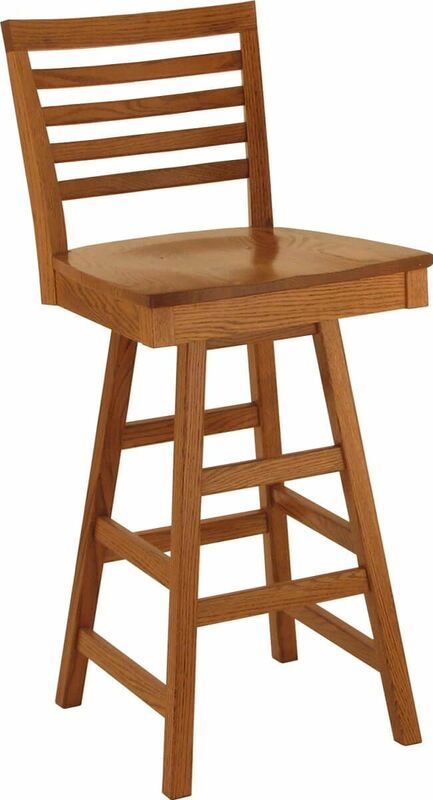 Handcrafted to last a lifetime, your Elisee Shaker Swivel Pub Stool has limitless potential in your kitchen, breakfast nook, or game room. Available in a variety of woods and stains, you may create the perfect pub chair for you home. Our Amish artisans will then build your bistro chair to order. Countryside provides delivery to your home or business and stands behind the unparalleled quality of your Elisee Shaker Swivel Pub Stool. Drop yours in the shopping cart and we will start it right away.